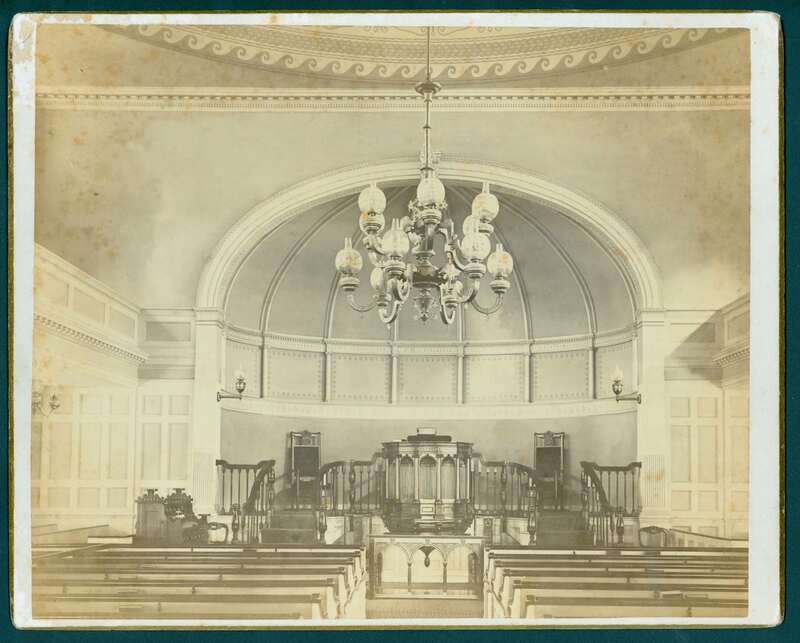 Took the place of mahogany pulpit and stair. 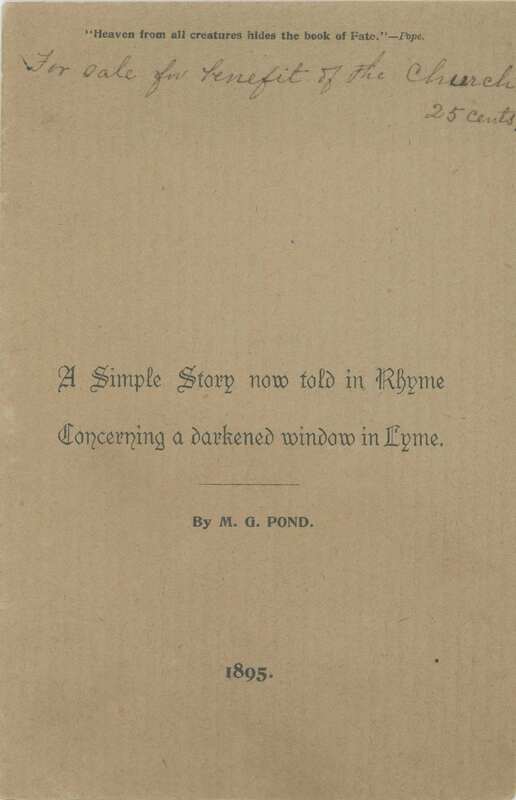 Martha Gillette Pond had moved from Milford to Old Lyme to live with her widowed aunt Mary Pond Sill after the death of her uncle Horace Lynde Sill in 1874. 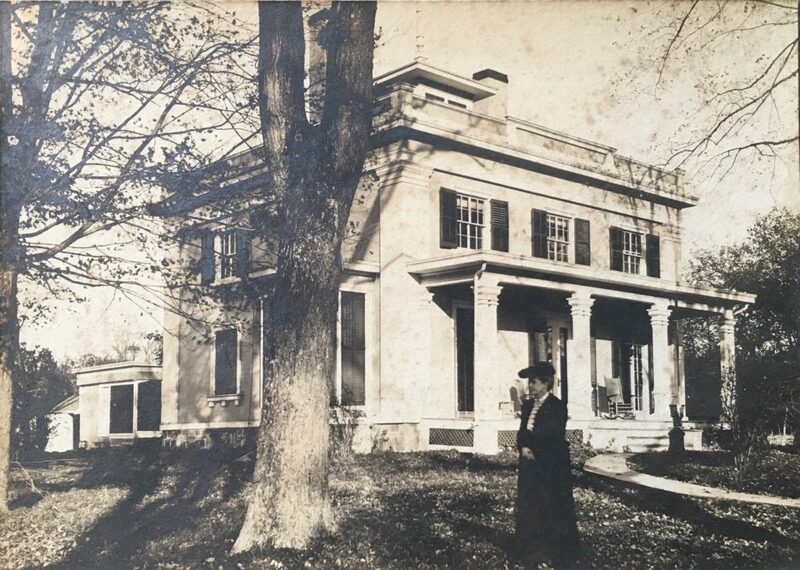 Their only child Richard Griswold Sill had drowned in the Connecticut River at age ten, and Miss Pond inherited the gracious home built by her uncle when he retired from the prosperous NL & GG shipping house established by Griswold cousins in New York. 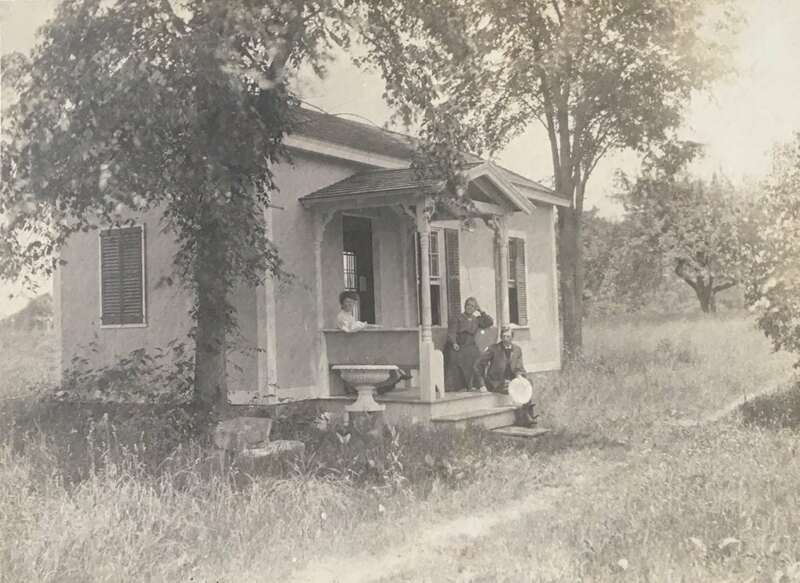 With Old Lyme’s flourishing art colony attracting growing numbers of landscape artists after 1900, Miss Pond provided an outbuilding beside her home for use as a studio by Abraham L. Laiblin, a talented New York painter raised in Ohio who taught art classes at the nearby Boxwood School for Girls. 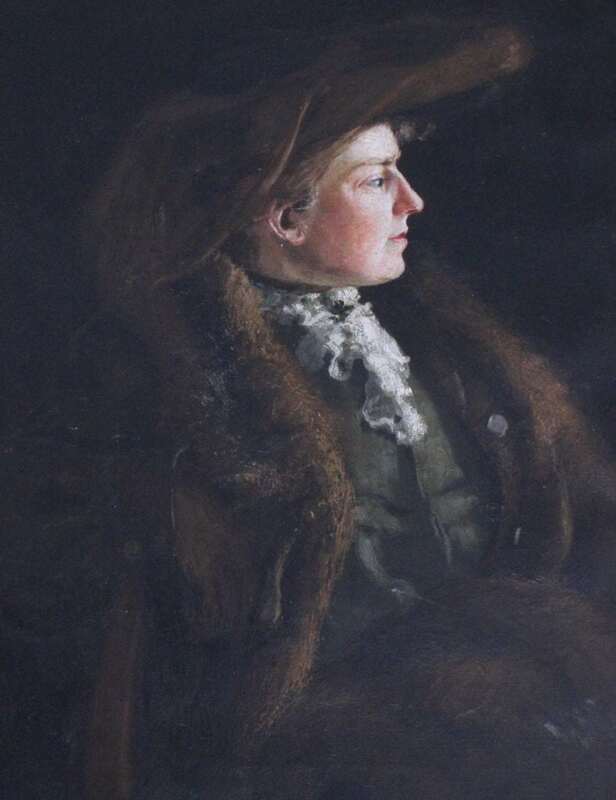 A. L. Laiblin exhibited landscape paintings in Old Lyme’s annual summer exhibition in 1903 and 1907. 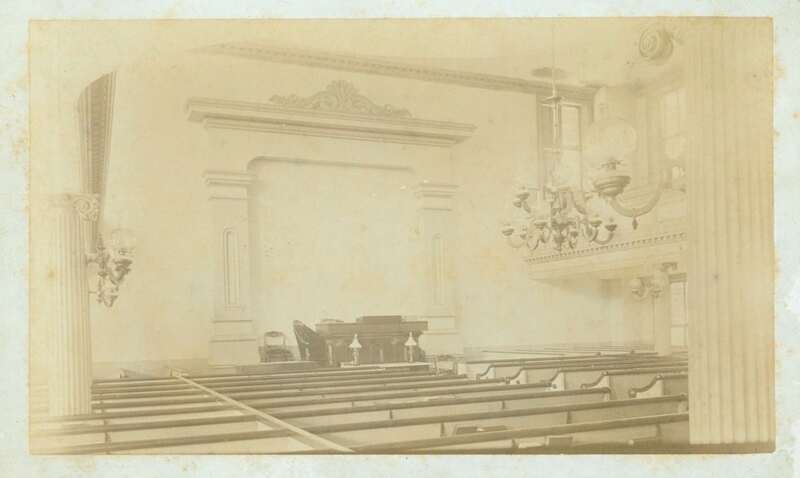 For more information about Old Lyme’s historic Congregational meetinghouse, see History Blog articles about the town’s white churches, the devastating church fire in 1907, and the controversy about plans for rebuilding.